Since everything you put on your skin is essentially getting absorbed, I have recently been more and more interested in chemical and fragrance free makeup. Now I promise I am not going total hippie on you and I still plan on wearing normal mascara but I have been experimenting with a few natural beauty DIYs. Some have been giant ugly disasters and others have been so amazing that I have actually been using them daily in place of my normal makeup. 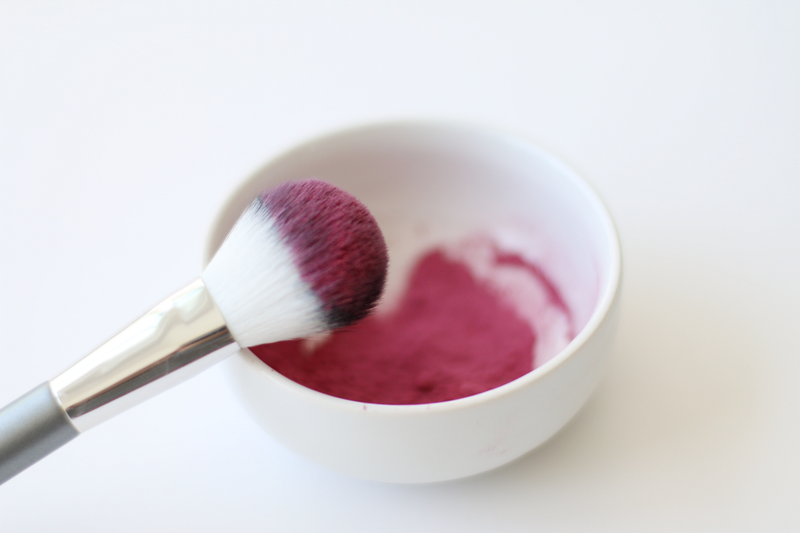 One of my recent favorites has been beet root powder blush. It's the simplest beauty DIY and takes only seconds to whip up. The bright pink is beyond perfect for little splash of color for spring and summer. Plus you can customize how light or dark you want, which makes this even better. * You can find beet root powder in bulk at your local natural grocery store (Whole Foods, Sprouts etc...) or online here. 1. 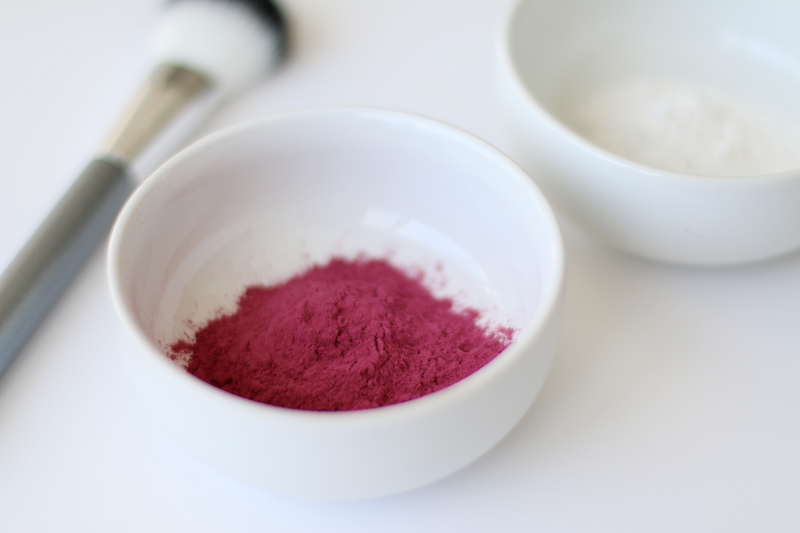 Place the beet root powder in a small container. 2. 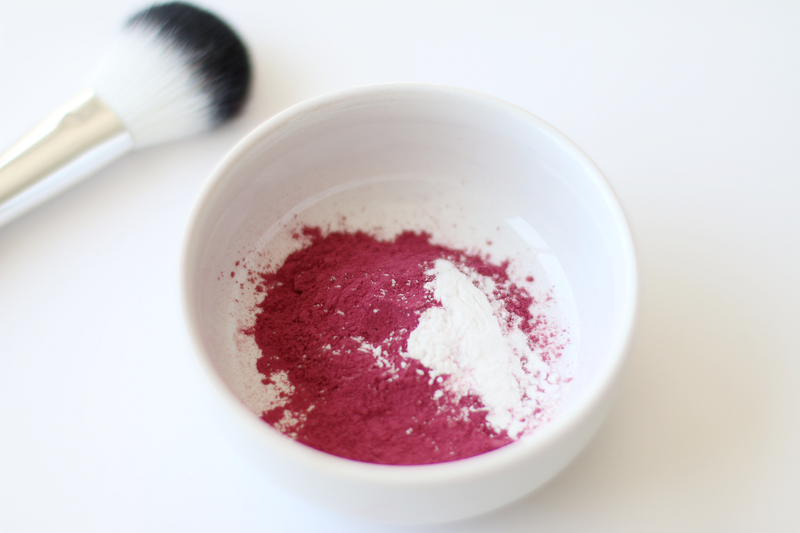 Mix in a small amount of arrowroot powder until you have reached the desired lightness of your blush. I only used a very small amount since I prefer more of a vibrant shade. 3. 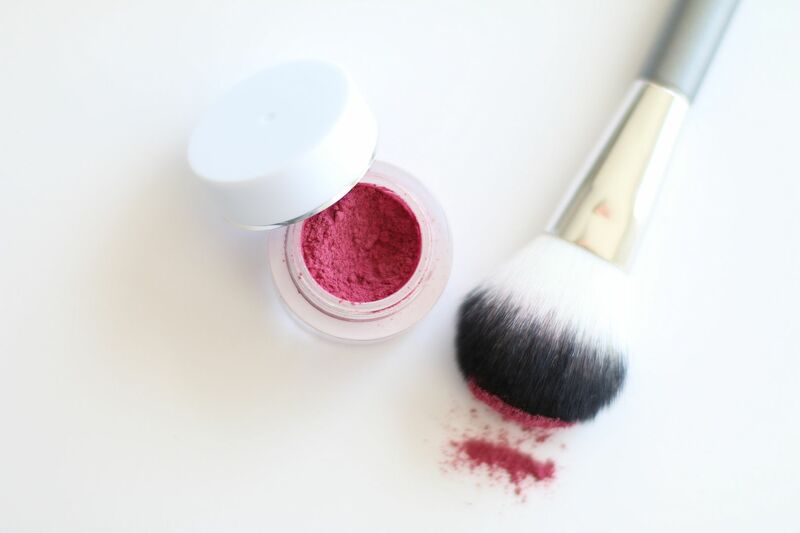 Place your blush into a small container with a lid and store out of the sunlight. 4. Wear just like you would normal blush. I have been loving this. The result is natural, perfectly flushed cheeks. If you end up trying this out make sure to come back and let me know what you think! Great idea ! In years long-ago, women used the juice of berries to color their lips and cheeks. Our cosmetics today are so jammed packed with chemicals and preservatives it is actually scary to read the list of ingredients. Oh I am gonna try this! Yay! I can't wait to make this. I've been getting terrible breakouts and rashes from blush lately so this looks perfect! wow. I can´t wait to make it. Thanks!!!! heyy thank u for the recipe. I tried this but the beetroot powder did not seem to stick to my skin. It was rolling in to small granules. please help!